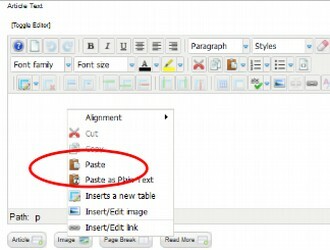 In Section 5.1, we cover how to create matching categories on your Home computer and Joomla website to organize and place your website articles and images in. 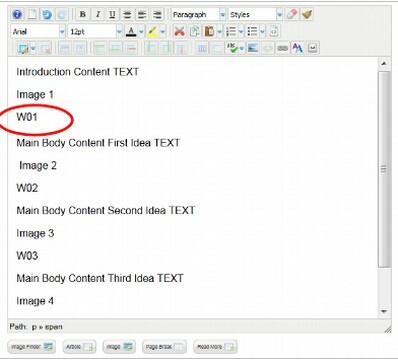 In Section 5.2, we explain step by step how to write an article that includes both text and images. In Section 5.3, we review how to efficiently transfer those images first from your source document to an image folder on your Home computer and then from this images folder to a matching images folder in the back end of your Joomla website. 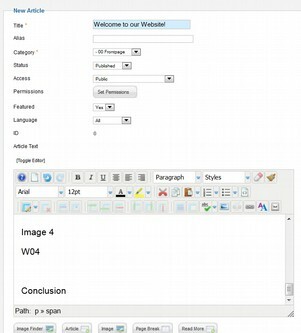 In Section 5.4, we show you how to reinsert these images using the JCE Editor as you post your article with the Joomla Article Manager. Setting up categories to place articles, images and menu items in is important in order to avoid having your website turn into a mess over time. While categories can be added later, attempting to change the location of articles and images will likely result in broken links. This is why setting up your categories should be done before writing articles and adding images. But before we describe the steps for creating new categories, we will begin with a brief overview of the entire process of creating articles and web pages with Joomla. We now have our custom Editor and Template installed and configured. Before we write articles, we need to set up the categories to put the articles in. 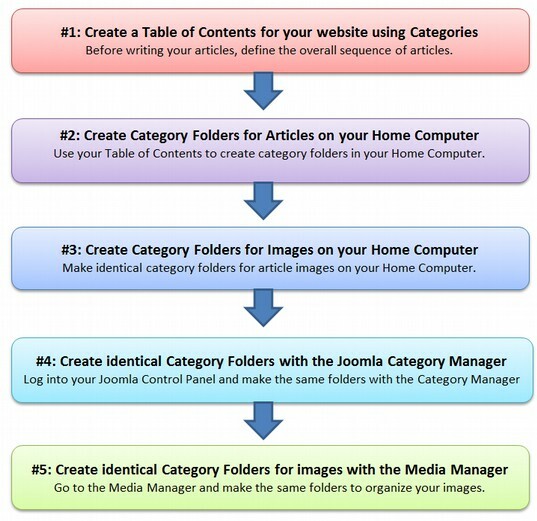 This section describes 5 steps for creating the Category folder structure of our website. These steps are done only once. But you can add more categories later if needed. Your website categories are like the chapters of a book. Your website, including your Main Menu should be more than just a collection of pages and links to navigate between pages. It should be organized like the Table of Contents in a book, describing the layout of the book and the logical flow from one page to the next by organizing the page subjects into chapters (which Joomla called categories). Only AFTER designing the structure of your website will you be ready to build your Joomla website. First you create the structure or the plan for your new house. Then you create the webpages and put them all in like building blocks in the proper place in the house. In this article, we will outline how to create categories which are the crucial first steps in building your website. The first step is to consider the entire layout of your website – not merely what it will look like now, but what it might look like in the future. Building your website is like building a home. You may want to start with a simple one story, one room house. But most folks add extra rooms onto their homes over time. You want to plan ahead by designing and building a solid foundation so that you do not need to tear down your entire home when it comes time to add that extra bedroom. Your website main menu is like the Table of Contents in a book. 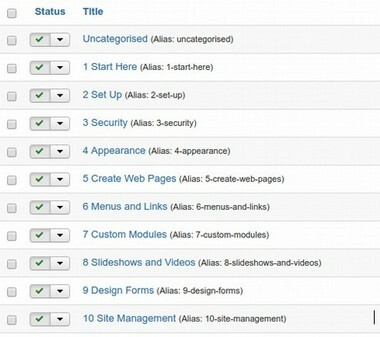 There are several reasons to organize your website main menu like the Table of Contents in a book. The first is that your website viewers have been reading books and magazines and newspapers all their life. They are used to seeing a Table of Contents and having the content organized into Chapters and Pages (or in the case of a Newspaper, Sections and Pages and Articles). The Main Menu should be a Table of Contents which your viewer can quickly scan through in order to understand the organization of your website and where they might be able to find a particular page or article they are interested in reading. Another important reason is conservation of space. Unlike a book, the Main Menu will and should appear on every page to help the viewer with Site Navigation. 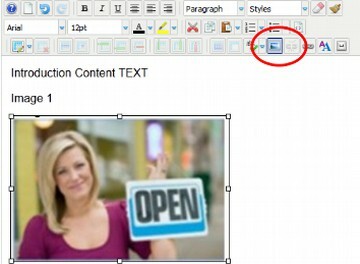 Also modern pages often have a Header Image at the top of the screen and a Multimedia Slide Presentation near the top of the screen. There is an unfortunate tendency to head straight to the Menu Manager to try to create your menu. But the first thing to know about Menus is that they are creating links to actual pages. You first need to write some pages before you use the Menu Manager to create your links. This leads to the second unfortunate tendency which is to start writing articles. This leads to a poorly organized website. To use the house building analogy, you should not start building a house by constructing a bunch of rooms and hoping they will fit together. Instead, you first need to design a PLAN for the House and write this plan down on paper. In Joomla, there are two levels to this plan. The first level is the CATEGORIES. And the second level includes the actual ARTICLES. So you begin your house plan (or your book) by defining some categories. We will do this next. One of the many purposes of a Joomla website is to help you organize the structure of your pages. This is why Joomla is called a Content Management System (CMS). With all Joomla websites, Web pages are called Articles, which are organized into Categories. Articles are placed inside of categories. Try to make these decisions before you ever open the Joomla Administrator page and get them written down on a Table of Contents for your website just as if you were writing a book. Each Category link on the Main Menu above leads to a sub-menu with the articles. 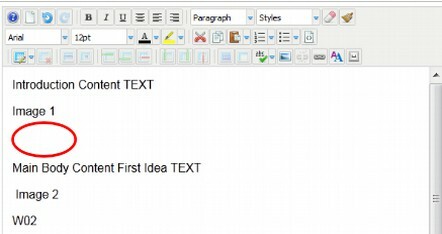 For example, the sub-menu for the category Possible Solutions would include links to three articles, Options 1, 2 and 3. 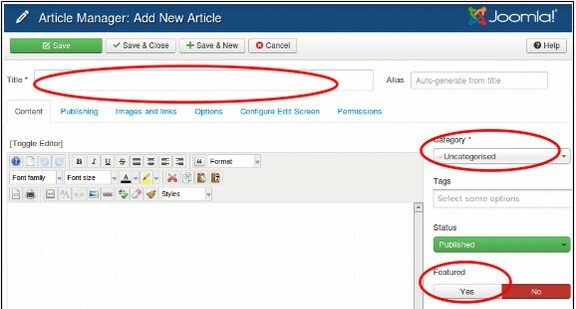 Sub-menus can also be displayed directly in Joomla as hidden “drop down” menu items. 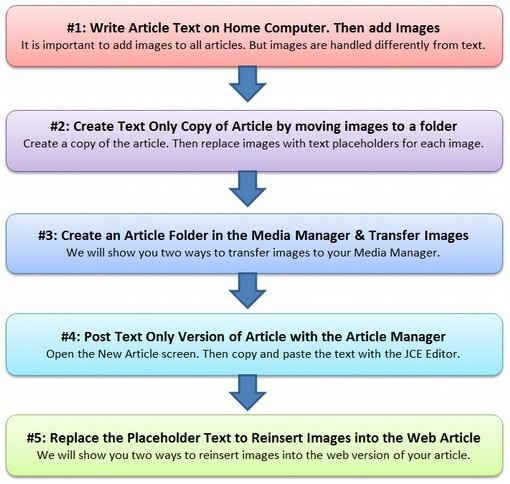 You can always change and expand your Website Article Structure later. But get something down on paper at the beginning. 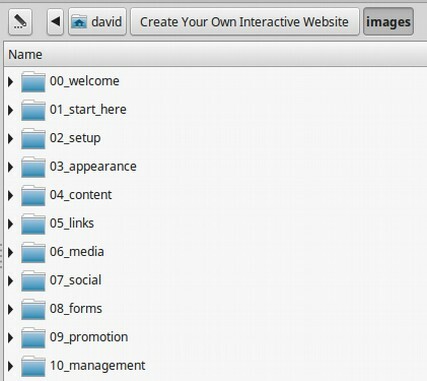 0.1 Welcome to Create Your Own Interactive Website! Once we have our Table of Contents planned out on paper, we are ready to turn it into category folders on our home computer. We will first use our categories to create folders for articles and images on our home computer. We will then use those same categories to create folders for our articles and images with our website’s Category Manager and Media Manager. Below is what the folder structure will look like on your Home computer. First, we create categories as folders on our home computer to store our articles in. To create your folders, click on your File Manager to open it. Then right click and select new folder. The new folder will look like this. Right click on the folder and select Rename. Then change its name to the name of your website. The top folder with the name of your website is called the root folder or the root directory. It is best to get in the habit of naming your website folders with lower case letters and no spaces. Click on this new folder to open it. Then right click on New Folder again to create a folder for your articles inside of your root folder. The articles folders do not need to be lower case. This is because the Joomla Category Manager allows for folder names to have capital letters and spaces. This is also a good way to tell your Articles folders from your images folders (which have the same names). Note that there is an extra category for articles such, as the Welcome article, which only appears on the Front Page. On the server, you would put these articles into a folder called frontpage or you could leave them as Uncategorized. In other words, the 00frontpage folder on your HOME computer equals the Uncategorized folder in the backend of your website. 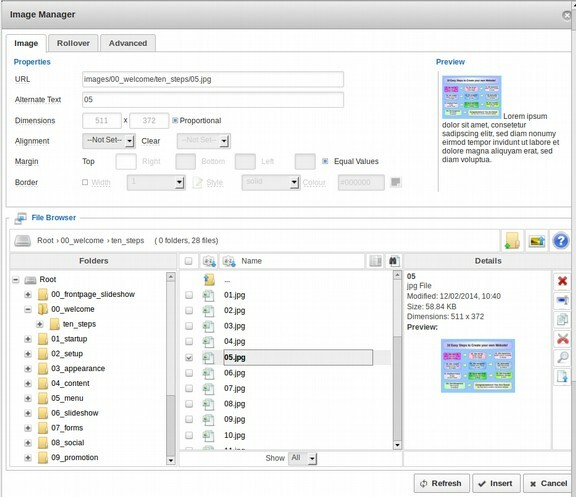 The key thing to understand is that the category folders on your HOME computer should match the categories in the Joomla Category Manager. There will eventually be four articles inside of each of these articles folders. But as we will explain further below, there are always two versions of each article, the original version with images and a web version in which the images have been removed. These articles are also numbered to keep them in the right order. Below are the 2 articles in the 01 Start Here articles folder. Note that there are TWO versions of each article. The first is the actual article as created in a document with the images in the articles. Because only TEXT can be entered with your website’s text editor, images cannot be transferred directly into your web articles. 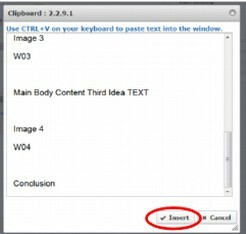 It is therefore essential that you create a second text only article with the images removed and replaced by placeholder text indicated which images go where in the article. We will review how this is done in a later article. The images for the WEB version of each article are copied into folders created for each article and placed in the images folder as shown below. Then if you open up any of these image category folders, you will see another folder for all of the articles in that category. These folders will be used to hold the images which will later be transferred to the images folder on your server. When you open up any of the images folders, you will see all of the images that were removed from the WEB version of the article. This images are listed in numerical order to help re-insert them in the proper order AFTER the WEB or TEXT ONLY version of the article has been copied and pasted into the article by your text editor. These images are also numbered to keep them in the right order. There were 26 images with this article. It is important to use a lot of images on your webpage as images often convey more information to readers than text. You can imagine that if you have 40 web pages and 20 images per page, it is extremely important to keep these 800 images organized on your home computer and on your Internet website backend. 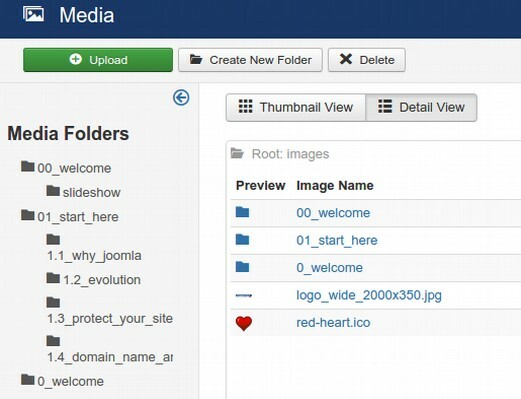 We will soon set up this same image folder structure in the Joomla Media Manager. Give each category a title and a brief description such as “This category includes all four articles in the Start Here chapter.” (Joomla will create an ALIAS so you do not need to fill in the Alias box). It is okay to use capitals and spaces. Then click SAVE and NEW. This will bring up a second New Category screen. Give this category a Title and Description and click SAVE and NEW. The numbers in front of the names help keep the categories and articles organized. Creating all 10 categories takes only a couple of minutes. We will next create an identical images structure in the images folder on our server root folder. Log into your Joomla Administrator Control Panel. Then click on Content, Media Manager. 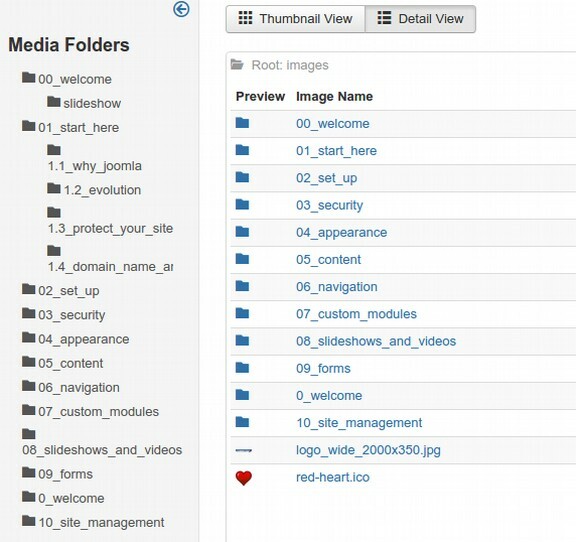 Below is the current structure after deleting all of the default content images folders and adding the categories folders, and after clicking on Detail View, the media manager side menu will look like the following. We have a folder with our Home page slideshow images, another for our Home page Welcome article and another for the four articles in our first chapter/category, Start Here. We have already put our images in these folders. We will now create a new folder for our second chapter/category. Click Create New Folder. Then type in the name of the folder using lower case letters and numbers with no spaces. Then click Create Folder. Repeat this process for all of your images category folders and article image folders. 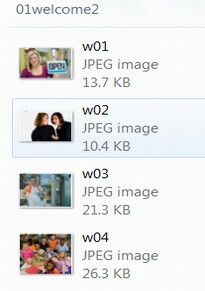 Here is what our website images folder structure looks like after creating folders for all ten categories. There should be four article image folders inside of every category image folder because there will be four articles in every article category. Each time you write a new article, or add a new web page, you should create a folder for the images in that new article in both your home computer’s images folder and also your website’s images folder. Now that we have our category folders made, we are ready to create our first web page. That is the subject of the next article.